A whim of a trip, a chance on myself and the Universe calling. Ever Upward launches in bookstores in one month and I will admit I am feeling a wash between frustrated, trying to let it be and, honestly, out of ideas. It seems like every PR and marketing thing we think of does not really pan out. It kind of feels like I just have to sit back and wait for the big break or I somehow figure out who and how much to pay for it. One night after dinner Chad and I were having an impromptu EU business meeting, which really meant we were discussing what kind of money to spend next, where to spend it and why. In other words he was doing his usual tell me why and how it will help business jaunt and I was doing my I just feel like I am supposed to be there and I am just so frustrated with this whole process. So really we were just being ourselves, the always working on it, complimentary married couple who also does business together. We were specifically talking about a training for speakers in Boulder with my friend Erin Weed. Something was just telling me to be there, even though the schedule did not work at all, it was an investment and I was not able to give Chad the PowerPoint presentation as to why exactly I need to be there (read why we needed to spend the money). Then two hours later Erin emailed me, offering a discount if I came that next week to a small group, especially because she didn't have any females. I showed Chad the email and with that spark in his eye he said, "Book the flight." Literally right there in my inbox was magic. First, I have to get out of my own damn way. As I was sharing my story with Erin and the group and working my storyboard I was forced to look at what the real problem was. I learned that my content is good, my message important and the world actually more ready than it thinks. The only thing in the way? Myself. Actually, the fear of my own power. Erin looked at me and said something to the effect of, "The message is ready, the world is ready and you are more ready than you are willing to admit. What are you scared of?" I spent three days in Boulder working on what I hope is a TEDx talk. I spent three days in Boulder getting to know the most diverse group of people that I can honestly say are my true friends. 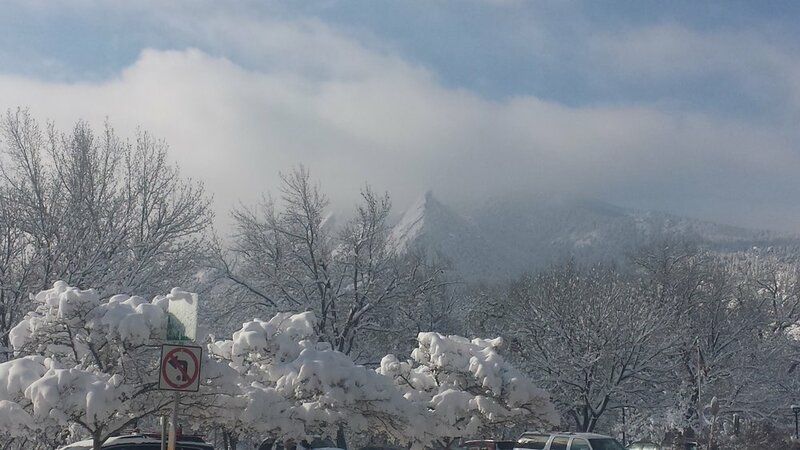 I spent three days in Boulder getting out of my own damn way. And, on that last day I wrote the words, fear of my own power on a coconut. I then said goodbye to that fear, threw it against a wall, completely busting it and sent it down the river. Because, Erin and the group are right; my content is good, my message important and the world is ready. And, best yet, I am the right person to deliver it. The second thing I learned is simply gaining a clearer picture of the love and the light I am meant to share with this world. It has already been a guiding light to this journey but what I learned last week was that it is actually the light to my journey. And simply put, but so much more than what one will read, it is the word parent. I am a parent. Not in your traditional definition of the word. Not in how you may accept. But nevertheless, I parent. There will be much, much more to come on that front, I promise. Because, trust me I've only just begun this parenting business. Please, please help me fulfill my Thunderclap campaign. Just a few clicks and it does all the work for you! I would also love your help in getting to 50 Amazon reviews, we are halfway there. Just make sure to click the Kindle version of the book.